I was just doing this Embroidery-Boutique happy pumpkin for someone and thought I’d post about those off-center designs we sometimes do. I don’t know about you, but I can center them in Sew What Pro and save them that way, but my machine usually wants to center them again (which sometimes LOOKS off center on the shirt). As you can see on this one the cute curly vine throws it a tad off to the right. The way I make it center for my shirt is to add a name or word underneath (that I plan to SKIP and NOT SEW), center the applique like I want it, save it and sew it on the tee. The name/word is the last step so I just stop there and the applique ends up centered on the shirt. This usually applies to those designs with eyes or facial features that you MAY want centered on the shirt. As you can see here I put the word ‘pumpkin’ underneath and centered the pumpkin face on my vertical center line. You do lose a little space b/c of the name, but you could also make the name really wide but not too tall and it will give you a little more room on your hoop. For this shirt I used a 5×7 hoop horizontal, so I was able to enlarge it some on my machine and it turned out fine! This is the 4×4 size happy pumpkin. 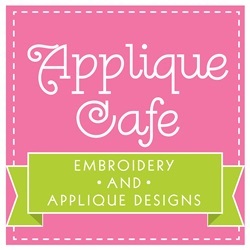 Here is another example of a design from Applique Cafe ~ the hat on the snowman throws the design way off to the left. On my sample I did just add a monogram to the right of the snowman’s face (Click here to see the sample), so it is off center but looks fine! But, if you wanted to do just the snowman and wanted it centered as far as eyes, nose, buttons, etc. then you could do the word/name trick and just leave it off at the end. This is a good example from Nobbie Neez Kids ~ sock monkey! The tail throws it off center to the left. And here I was able to center the monkey based on his eyes and legs. Just leave the word off (pumpkin) which is the last step in the process. You may have a better trick OR your machine may base your design on what you’ve saved before sending it to the machine (if you center it in SWP it may keep it that way). I always had problems with the sock monkey being off center so this is just an easy way to remedy that! Someone commented on my last post about the fabric. I don’t believe the Singer store in Enterprise has a website with online ordering? Most of the samples I bought too did not have the brand and/or name on the pieces I got. E-mail me at rosemarygulledge@knology.net with any questions and I might be able to figure it out! Do send your designs to the machine in .Pes format? If so, does the machine set the designs with the correct color stops? I use embird and find that the designs show up on my PR650 with incorrect colors. Is there an easy way to set the colors on the machine? Yes I use PES and I have a PR650. I program in my colors & stops, so I don’t even pay attention to the colors of the design. Thanks for the response. How do you program in the colors manually? The manual leaves a lot to the imagination! Do you happen to know is SWP is Mac compatible? And is that the best program to start off with?? I sure don’t, but you can check out http://www.sandscomputing.com and also email them – Steve is the guy’s name I think! 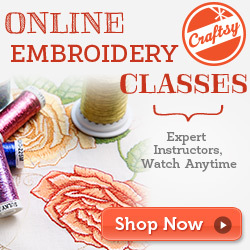 Hello Rosemary, I would love, love, love to learn to applique but I do not know where to begin. I know you teach classes but I do not know if where you teach would be close enough for me to attend. You mention the Sewingmachine.com in West Point, Ga. That is the area I live in. Would I need a special program for my machine to do applique, I have a Bernina Artista 200E. Would love your advise. I have pruchased a few of your applique disigns but they are just hanging out on my jump drive for now. If your machine is an embroidery machine then you should be able to use the designs (ART format). As long as you have a way to get the designs to your machine (jump drive). I’ve done 1 thing at the West Point store years ago. I live in Montgomery which is about 1 hr 15 min from there! I just found your blog on Facebook where someone was asking about centering off – center designs. My husband suggested using the word “falsecenter” for the name so I would be less likely to forget and stitch it out and the “c” would be easy to center. I love your idea and I thought his was a clever addition. I have a design that keeps being 1/4″ off. The letters fill the entire 5×7 hoop. It doesn’t have any part of the design that would make it off center like your pumpkin and snowman examples. I fold and measure and mark all of my points to make sure the center of the shirt matches the center of the plastic grid but it is still 1/4″ off. I’m really frustrated! Can you shed any light? I am so happy to find this page! 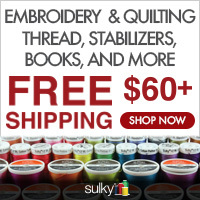 I am new at embroidering – I have a PE 770 and SewWhatPro. I would like to know how to applique and have watched many videos; however, seems they all start with the placement and sew down right on the machine. I don’t know how to begin (before that). Do you have to have designs that are applique designs? or can you use a design you already have? 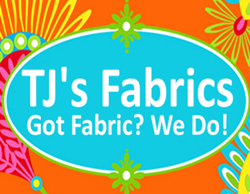 95% of our designs are applique designs. Not sure what you are asking? ?